Those in the their 50s or older will remember a time when hailing a cab involved fixing a price with the cabby before getting on board. Even though taxi meters were made mandatory here in the mid-1950s, drivers - especially those driving illegal or "pirate" taxis - continued the practice of providing non-metered services. In the 1970s, a policy change forced many of these drivers to become cabbies for NTUC Comfort, one of the predecessors of ComfortDelGro. When ComfortDelGro rolls out fixed flat fares next week, the situation would have come full circle. With flat fares, an option available to commuters using the company's phone app, consumers will once again know upfront how much the journey will cost. They will also get to compare this fare with what a metered trip would cost. This addresses a perennial grouse of commuters, both local and foreign, who say they never quite know how metered fares, with their dizzying array of flag-down rates and surcharges, work here. Upon arrival at a destination, the meter may show $12.50. But when the driver presses a button, it changes to $17 with the addition of surcharges. With this, the transparency and peace of mind a meter is supposed to accord goes out the window. A fixed flat fare should appease those not familiar with the complex structure of taxi fares here. It lets them decide whether they want to proceed with the ride. If they don't, they can try flagging down a cab, or opt for another fare or transport mode. ComfortDelGro's move comes on the back of similar offerings by ride-hailing apps Uber and Grab. 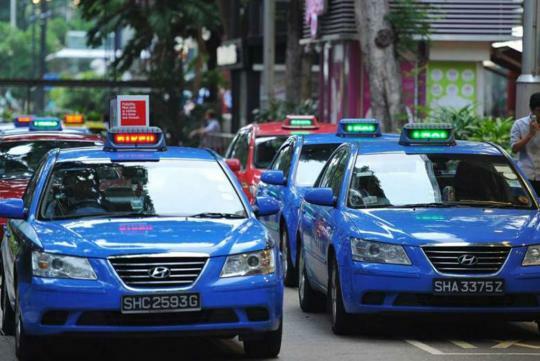 Whether Singapore's biggest taxi operator was forced to jump on the bandwagon matters little. What matters more is that commuters are seeing for the first time in nearly 50 years the effects of real competition in the taxi arena. And it will be precisely this competition that will help keep fares fair. Instead of haggling with the cabby like in the old days, they can let technology do the "bargaining".